I’m not going to introduce the second part like I introduced the first part last week. We all know that 2016 flew by. In 2016, a lot of things happened. But in my personal life, it’s was one of the better years. In any case, it’s time to give a little reminder. In this top 10, I list off the best games I played this year. If I started playing the game in an earlier year, it doesn’t count. Also, it doesn’t matter if the game is released in 2016 or 1996. If I started playing it this year, it counts! Also, it doesn’t matter if I have beaten the game fully or not. So, yeah. Let’s dive into my top 5 for this year. Also, feel free to leave a comment with your opinion on this article and/or the games and/or your top 10 games of 2016. As we enter the top 5, I had the most difficult time choosing the order of the games. I had to make some hard decisions. The Ace Attorney game we got this year was amazing. It had some amusing throwback moments to earlier games and it has hit me emotionally a couple of times. It might not be my favorite game in the series, but it’s was a pretty enjoyable ride from beginning to end. One of my biggest let-downs was that the 4th case was way too short in my opinion. But, in exchange, we got 2 “joke” episodes that made me laugh multiple times. Also, I need to remind myself to not play this game on the train to work, since I nearly missed my stop once and one time I started laughing so much, I got strange looks for the whole ride… Yeah. Like Ace Attorney 6, the new game in the Pokémon series is amazing. While it’s not the best in the series, in my opinion, it has a lot of throwback moments to earlier Pokémon games. So, I honestly think it’s a no-brainer that this game should be on my top 10 games I played in 2016-list. 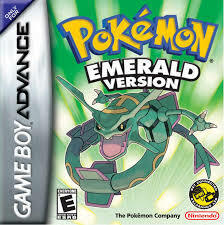 Since this game brought back some amazing memories I had playing Pokémon throughout my life. I even met some strangers on the train who were playing Pokémon Sun or Moon as well. I never imagined that that would be possible in the crazy times we live in currently. Pokémon connects people. And thanks to Pokémon Go, a game I wasn’t able to play, the craze for Pokémon grew even more. I have almost beaten the game and I’m looking forward what the new Pokémon generation will bring. I think they are taking it in a great direction. If only they tweaked the games a little bit for long time players, and it would be perfect in my opinion! So, in late June, I downloaded the demo for this game on my 3DS. I was deciding which games I was going to buy to play in the upcoming summer. I played the demo and placed it on my wishlist. That same day, I started talking to one of my friends over at ButtonSmashers. He said he still had a review copy of Stella Glow. So, in exchange for a review on the ButtonSmashers, he sent me the code over mail. And believe me, this game grew on me really quick. Like I said in my review, the story pulls you in and doesn’t let you go. At least, with me. This game is one that I wish hadn’t passed under my radar. Since that game was already released for 3 months upon that point. I honestly think I’m going to replay this game next year. The replay value is quite high in this game. I’m going to take a completely different route and try to see things I haven’t experienced yet in this game. I’m quite looking forward to it! “Life is simply unfair, is it not?” is one of the quotes I remember from this game. 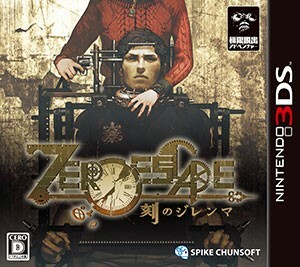 The Zero Escape trilogy got its final game this year. Honestly, I would love a new game in the series since I’m highly addicted to the gameplay. This game came pretty close being my favorite game of 2016. If you ask me the question, what’s your favorite game released in 2016? I have to answer that this game is my favorite game from 2016. But, I have played one other game that got the number one spot. So, why is this game on my list? 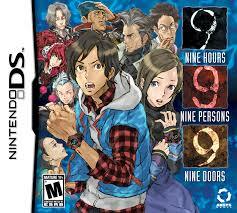 Well, I have played the Zero Escape series from beginning to end. I have played every game, finished every puzzle and the wrap-up of the series is just so heartbreaking. The story is over. Every dot is connected now. The game almost didn’t see the light of day, but thanks to the support of the fans, this game DID see the light of day. And I’m glad that it did. Everything in this game clicks. It’s almost perfect. Thank you, guys and girls, for this amazing series. I hope you guys and girls keep making games since I would love to see more! Thank you, that’s everything I can say. The series is so good, I hope that the Steam versions of the trilogy will draw a lot of attention. The attention that this series deserves! Seriously, thanks for making this game. I can’t repeat it enough. And honestly, I can’t say it in any other way. Yo-Kai Watch (3DS): Interesting mechanics and gameplay, but I haven’t gotten far enough yet in the game. Sphetory (Android): An Android game that took me by surprise. Just read my article about it! Mario Strikers Football Charged (Wii): Just Mario football. But it’s a whole lot of fun! Evoland 2 (PC): Evoland 1 was amazing, so I had to play the sequel. And I don’t regret it! Minecraft Story Mode (Android): I had been putting it off, but when I got it in a sale for my tablet, I gave it a go. And I’m enjoying it a whole lot. Just finished the first episode. SteamWorld Dig (3DS): It reminded me of an Android game I reviewed a long time ago, but this one is miles better. Fire Emblem Awakening (3DS): I just adore the gameplay. If only I was better at it. Also, the micro-transactions nearly ruin the game for me. Since I want all content in my games to be playable. Corpse Party (3DS): It was really close being number 10. 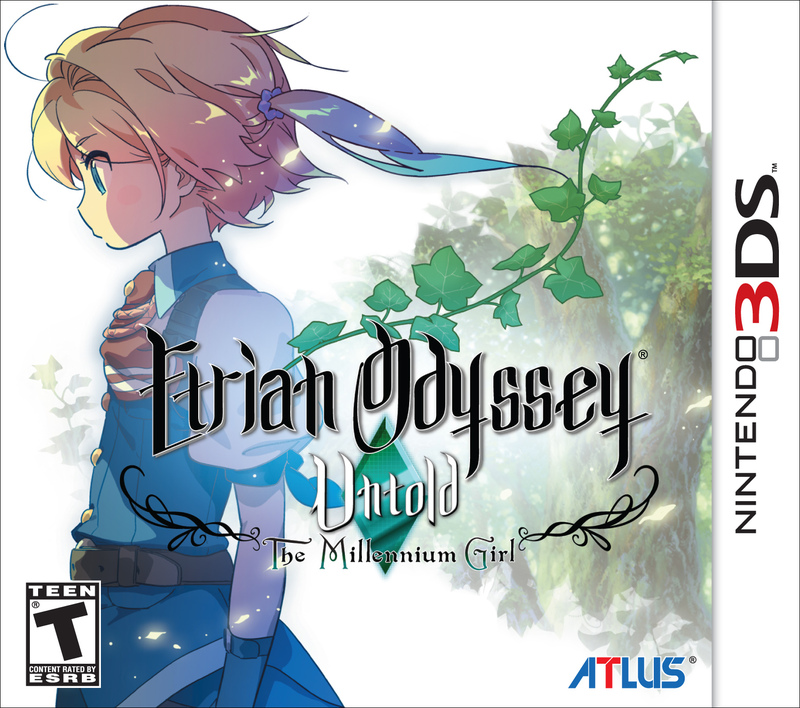 The 3DS port is so faithful to the amazing PSP port that introduced me to the series. It creeped me out so much once, I had trouble sleeping one night. Dragon Quest VII (3DS): I have played the first hour of this game, and I enjoyed myself a whole lot. But I haven’t gotten far enough yet. Bravely Second (3DS): The sequel to Bravely Default. One of the RPG’s I love playing on my 3DS. I have to continue playing this game honestly! The Beginners Guide (PC): A game that hit me as a content creator. And it has hit hard. Created by the creator of the Stanley Parable. Pokémon Super Mystery Dungeon (3DS): I can’t believe myself I have played 10 different games that trump this game. 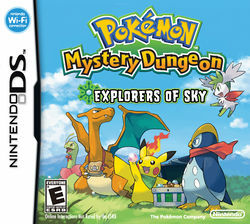 The new Pokémon Mystery Dungeon game was amazing. But it’s number 11 on my list… Yeah. Kirby Planet Robobot (3DS): While I think that Kirby Triple Deluxe was better, I think that this game is stil worthy to get a spot on the honorable mentions list here! Wow, I ended 2015 with playing the first game in the Bioshock series and at the end of 2016, the latest game is my number one game I have been playing in 2016. This series took me by surprise. The story telling, the atmosphere, the setting, the visuals, the gameplay, the soundtrack, the voice acting… it just all clicks for me. It’s one of the best games I have played this year. Well duh, that’s why it’s number one. At first, I had trouble picking which Bioshock game to put on number one. But the DLC for this game made my decision that much easier. 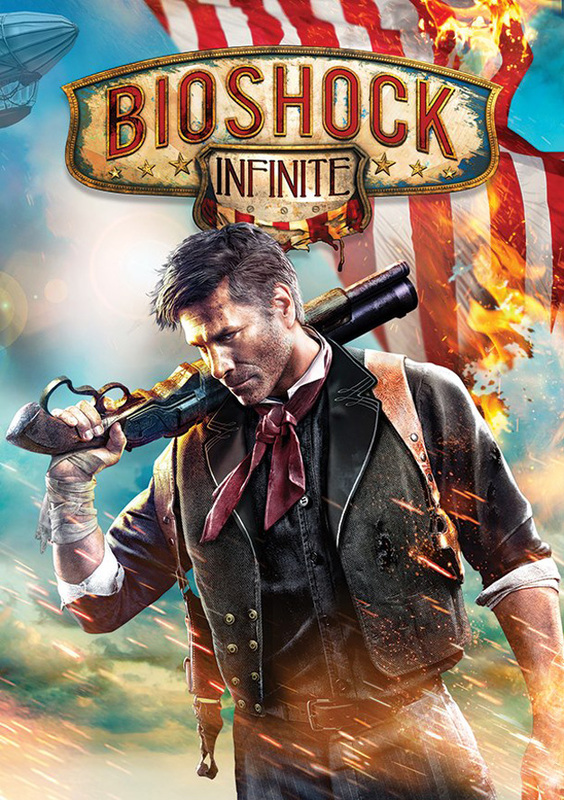 It wraps up the story of this trilogy so nicely, I’m conflicted if they need to continue the Bioshock series. Since it’s finished up so nicely, I think a 4th game would ruin it. But at the other hand, I can’t get enough of the universe. And honestly, the fact that I bought and read the novel and bought merchandise… the fact that I often listen to the soundtrack of this game at work, proves one thing to me. The Bioshock series is sinking it’s (sky)hooks into me. So, if you haven’t played Bioshock; would you kindly give it a go? Give it a chance, you might find one of the best games you have played in a while. After I had beaten this game, I restarted from Bioshock 1. I have played the three games (and the DLC’s) this year at least two years. That’s a clear reason why this game is my number one game I have played in 2016! So, I’m looking forward to 2017. Since a lot of new challenges await me. But 2016 is coming to an end. I have said multiple times, this year was special to me. But, 2016 was a crazy ride from beginning to end. I have learned so much and experienced so much as well. I’m disappointed that several events almost ruined the year for me. But, let’s not think about them. Those events aren’t worthy of our attention. I think we can agree that this year has been a crazy ride. Like I said before. Thank you for all the support I got this year! I seriously helped my blog grow. 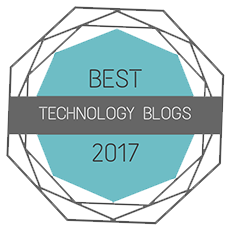 I love writing for you guys and girls and I hope you will visit my blog again in 2017. So, have an enjoyable rest of 2016 and I hope to see you in 2017! But until then, take care and have a great rest of your year! This entry was posted in Articles and tagged 001, 1, 10, 2, 2016, 3, 4, 5, ace, and, arpegi, attorney, awake, awakening, beginners, best, bioshock, buttonsmashers, charged, ChunSoft, corpse, dig, dilemma, dragon, emblem, end, fire, football, game, games, go, guide, i, in, infinite, information, jea, jonez001, jonezjea, justice, list, mario, minecraft, mode, moon, more, NekoJonez, Of, part, party, played, Pokémon, quest, sphetory, spike, spirit, steamworld, story, strikers, sun, The, time, top, two, watch, year, yokai, zero on December 30, 2016 by NekoJonez. Of course! I was going to talk about this game. I kind of spoiled that on my Twitter. Actually, I was going to write about this game last week. Yet, my schedule didn’t clear up enough to be able to write this article. In any case, if you have read my blog before; you should know that I’m a big fan of the Ace Attorney series. It’s one of my favorite visual novel/adventure games ever made. I was hyped for this game. I tried to avoid the news about this game so I could go in without any spoilers. I’m currently mid-way the game. If you worry about spoilers, don’t worry. I tried to make this review as spoiler-free as possible. Oh, and as usual, feel free to leave a comment with your opinion on the article and/or the game in the comment section down below. 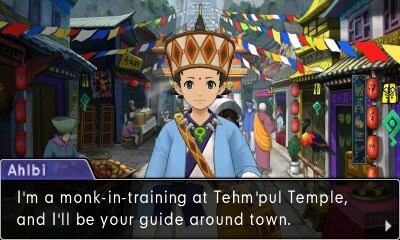 In this game, Phoenix goes abroad and visits the kingdom of Khura’in. Phoenix is goal is to visit his old friend Maya after she finished her special training. 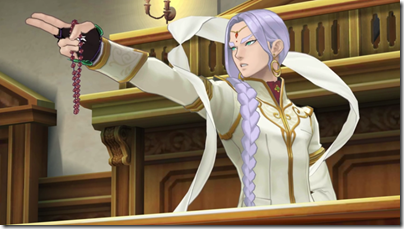 But you guessed it, it doesn’t take long before Phoenix finds himself in a courtroom. But in the country of Khura’in, there is a lot of hate towards lawyers. The plot of the first and second case are amazing. While it’s a shame that the killer is spoiled in the first case in the intro, the build-up is very good. I loved the set-up of the second case. And the start of the third case made me tear up. 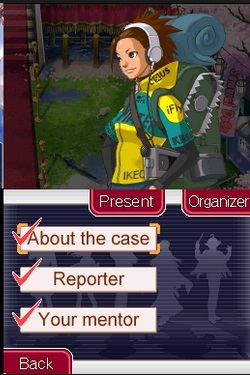 If you played the whole Ace Attorney series over the years and then play the third case, you will understand what I mean. The character reveal and the music that starts playing is just lovely. The writing in this game is very good. 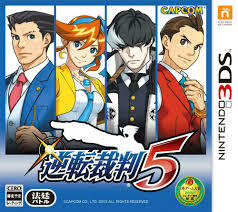 If you like how the other Ace Attorney games are written, you will love the writing of this game for sure. Compared to the previous game, there is a lot less voice acting in this game. The voice acting is mostly reserved for some small scenes, the “hold it”/”objection” shouts and the anime cutscenes. The voice acting is superb in this game. Yet, there is one voice that I didn’t 100% like. It’s the prosecutors voice of the first case. He sounds too feminine to my liking. But hey, that’s nitpicking. So far, so good in the writing and voice acting department. The soundtrack of this game is in my opinion good. It offers a lot of remixes of older tracks, but it also offers some new tracks. So far, there isn’t one track that I didn’t like. I think I might try and hunt down the soundtrack of this game to add to my collection. It’s lovely to listen to while I’m writing or researching for articles. The sound design of this game is top-notch. The music sounds great and all the sound effects sound great too. They both add a lot to the atmosphere. If you play this game, I personally recommend headphones. Since it adds a lot to the atmosphere of this game and it makes the impact of some scenes even better in my opinion. Something I have to praise this game for is the visual presentation. The characters and environment are just eye-candy. The animation in this game is very good as well. There are even little details in the animation that make it even better. I have played only a little bit with the 3D feature on, so I’m not going to comment about that. The only thing I would have changed is that some text boxes display their text a little bit too slow. I was mashing the buttons of my 3DS to try and speed it up. Thankfully, there is a message log so I can read the text again if I skipped it too fast. The controls of this game are almost perfect. I would only add an option to move the investigation cursor with the D-pad, but that’s a nitpick. The controls in the Ace Attorney game have been and are always great. There are two sections to the gameplay. You have the investigation section and you have the trail section. This is like every other Ace Attorney game. The special abilities of every character return in this game. I’m so glad that this game doesn’t force experienced players to read and sit through an explanation of the mechanic. You get the option to get a “refresher course” or not. I personally choose to have the refresher course each and every time. The way the writers wrote the tutorial in… well, it made some rather funny dialogue. There is one new game mechanic. I honestly think it’s a great addition. It mostly helps to build tension in the story. I’m looking forward to play around with the mechanic in the rest of the game. I have one nitpick with the investigations is that some spots are so tiny and easily overlooked, I got stuck once for almost an hour because I missed one spot. But hey, after I found it… I could slap me on the head for overlooking it. The difficulty in this game is very balanced. Each case gets more complicated and each case gets more difficult. When you are stuck during the trail, you can get a hint. Your partner will tell you which statement contains a lie. 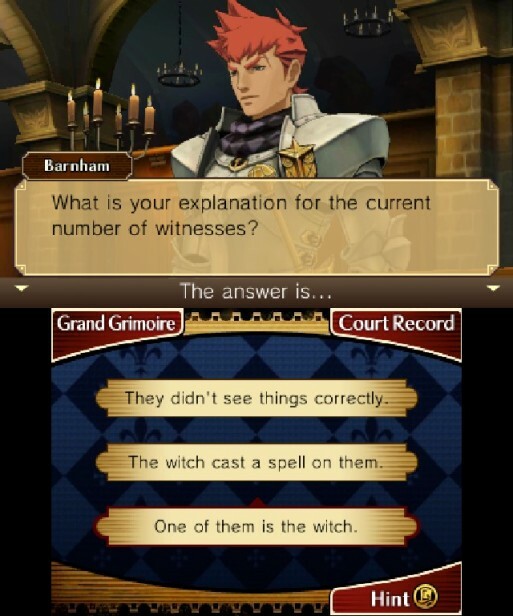 It’s for you to figure out which piece of evidence proves that the witness is lying. And if you don’t want this feature, you can disable it in the option menu. The last thing I want to talk about in this game is the UI. And it’s good. The only complaint I have is that I don’t find the option easily to apply the costume DLC. To wrap up, I think that the things I would change in this game are rather minor. So far, this game has been a blast. But, this game is not for everyone. If you dislike reading long dialogues between characters; stay away from this game. Because it has lots of that. So far, the game is amazing. I hope that the second part of this game doesn’t ruin it. But hey, if it does, I’ll complain about it in my review. So, I think I said everything I wanted to say about this game. Thank you for reading this article. I hope you enjoyed reading this as much as I enjoyed writing it. I hope to welcome you at another article on my blog. But until then, have a great rest of your day and take care! This entry was posted in Articles and tagged 001, 2016, 3DS, ace, adventure, Amazing, Apollo, arpegi, attorney, biast, buttonsmashers, capcom, eshop, fay, first, free, how, impression, information, jea, Jonez, jonez001, jonezjea, justice, maya, neko, NekoJonez, no, not, novel, Of, Phoenix, Preview, review, screenshots, September, spirit, spoiler, text, visual, walkthrough, Wright on September 17, 2016 by NekoJonez. I didn’t know what this game was going to be about. I just bought it blindly. The cover was interesting enough to me to actually buy it. But was I taken by surprise. This game is all levels of awesome. This game is a more kid-friendly version of the Castlevania series. The gameplay is nearly exactly the same. The only difference is that you have a pet monster that follows you. That monster, well, you need it to solve the various puzzles. Something I’m really thankful for is that in this game you have an pointer to where you should go. But the game won’t punish you for trying to explore beyond the path you are supposed to go. Since you can find toys to train your monster. There are various different forms of the monster which makes it pretty replayable. Now that I’m writing about this game, I feel like replaying it really soon. The memories are pretty great. And also, the soundtrack is so good that it’s even on my SD for my mobile phone. I really enjoy listing to it. But a more in-depth look shall be for another time. In conclusion: this game comes highly recommend. I simply can’t believe what LEVEL-5 has done with this series. They combined two of my favorite genres and made an awesome game series out of it. 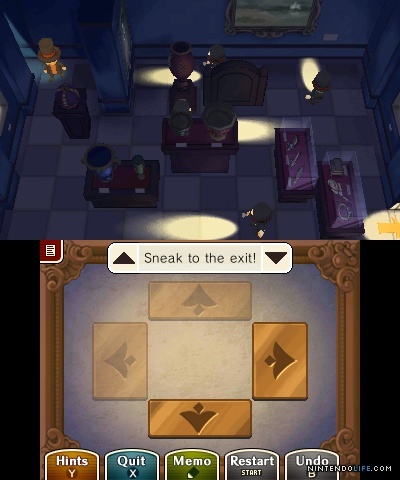 Professor Layton is an amazing series of puzzle and visual novel adventure games. I love how there is always a debate on forums between fans of the Ace Attorney series and the Layton fans, since they are kind of similar. You play a detective by solving puzzles. There are 6 games now in the series, 4 on the Nintendo DS. Out of them, my favorite is Unwound Future. The story is just the best out of the series. I think it’s one of the best. It’s the one I remember the most. You can really see the evolution the series goes through. That’s why I advice people who want to play through this series to start with the first game. Because if you play the newer games first, you will get annoyed by some missing features like a notepad. I still have to beat the last 3DS entry in the series, so I’m pretty curious how the series ends. But secretly I’m hoping that they continue the series with a new trilogy. Come on LEVEL-5, go for it! It will be a sin talking about Castlevania earlier in this list and not giving the series a well deserved spot in my top 25 list. Because these games have a lot of memories to me. These games use enemies from mythologies and myths. Long time readers know this about me, I didn’t start as a game reviewer, I started as a hobby writer. Seeing stories used so powerful always puts a smile on my face. This is the best game when it comes to vampires. I do warn you guys, this game can be quite hard. But the people who love to grind, this game won’t be a big letdown, because with a lot of grinding you will be able to finish these games without a lot of problems. But I’m not somebody who likes to grind. So, the challenge in this game is quite high for me. Even more enjoyable. Since the game’s controls are near pitch perfect! This game got me to cry. Yes, Pokémon Mystery Dungeon hits my emotional spot each and every time. They are even continuing it on the 3DS. With some cuts and adds though. The Pokémon series are one of the earliest gaming memories I have. Looking back, my mind is blown, how that as a young child, I was able to understand and (almost) beat a RPG. One with some depth. On the surface, Pokémon looks to be made for children, but in reality, it can be quite deep and enjoyable to play. I’m still working on beating the Black & White games, I’m currently about midway in Pokémon Black 2. But I think I might restart with the white version. Or delete my save file. The reason why, well, I lost my notes and I wanted to write an article about it. Or I might not delete my save file and enjoy the game. Since it was also one of the first games I played on my Nintendo DS. Yeah. Memories. 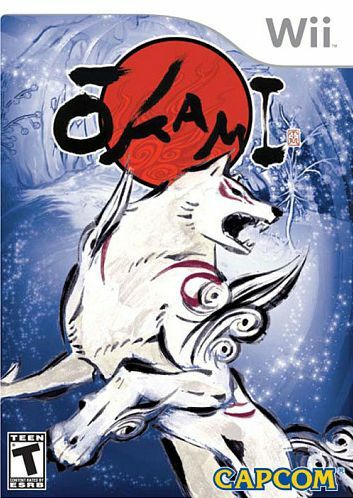 So, I have written a first impression of the Wii game in the series, Okami. Wouldn’t it be a shame if one then didn’t like the DS version? 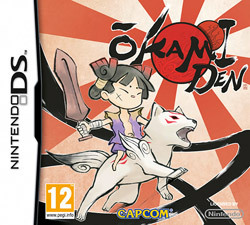 This game takes place a few years after Okami ended. Now you play the son of the great Japanase sun god. The humor in this game is just excellent. Best of all, you have more then one partner! Each partner has their own personality and character trades, which makes the game diverse and fun to play. It was even able to touch me on an emotional level with it’s ending. Not all games can achieve that. If you are able to ignore the sometimes bad voice acting of this game, you get an amazing deep story of a group of teenagers fighting against a civilization that believes that the future is already known. This RPG, I played it more then once. It might be a bit outdated by today’s standards, but it’s still amazingly fun. 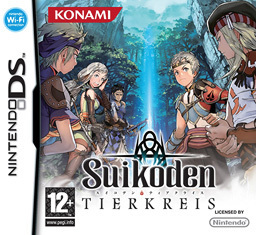 It even got me into the Suikoden series. I must play Suikoden II. I have heard so much about it. A little fun fact, I nearly write the title wrong every time. I switch the “k” and the “d” so often. Before I published this article, I double checked if I didn’t make that mistake. So, read my first impression if you want to know what I recommend this game. That will avoid me having to write an extremely long explanation in this article. Check it out, but forgive the voice acting. It isn’t all that good. It truly brings the game down. What can I say about this series? It moved me various times and I’m one big Ace Attorney fan. I even took a look to two 3DS titles. If it wasn’t clear already, look at how high on the list I place this series. This game made me love visual novels. It was one of my first visual novels I ever played. As you might know, I started as a story writer. Seeing how strong stories can be in games, well… yeah… I have a hard time explaining this but I could feel the passion the writers have put into this series. You can feel those kind of things as a writer. For every announcement of a new Ace Attorney game, I get quite hyped. I’m even going so far as playing a fan translation of a game that isn’t released in the west. Maybe I should write articles about the other games in the series in the future, maybe that might show my love more clear. So, why is this game so high on my list? If you read my review and saw the score I gave to it, I don’t have to explain myself any further. In the previous entry I explained how Ace Attorney pulled me into the visual novel adventure genre. Everything that Ace Attorney did right and presented with a more humorous tone, 999 did with it’s grim yet enjoyable tone. This game isn’t for the faint of hart. And I really mean what I say here. If you have a vivid imagination, this game might even scare you. It’s that well written. I totally disagree with some complaints, that this game is too repetitive. To me, it’s not. But I can see where they are coming from. I enjoyed this game so much, I even bought it on a trip to the USA. It never came to Europe. Yeah. Before we take a look to number one, I must have my honorable mentions. A few slipped already into the article but I want to list the other games that didn’t make the list but where great to play through as well. Maybe in the future or if I ever do a (3)DS month again, you might see these games in articles. And various games, well, it was hard to leave them out. But I had to drop games. 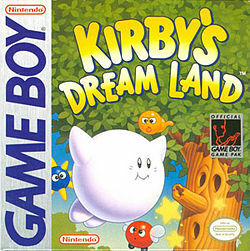 Kirby games, Soul Bubbles, Bookworm, Giana Sisters, Lost In Blue series, Henry Hatsworth and the puzzling adventure, Dragon Quest 9, Super Monkey Ball, The Settlers, Age Of Mythology DS, Make 10, Lego Battles, Magical StarSign, Elebits, Dream Chronicles DS (PC version let’s play) and Contact. It was pretty though ordering the top ten. But I think it’s quite clear which game series is going to be number one. So, yeah. Here we go I guess. So, who hasn’t seen this one…. miles coming? Yeah! 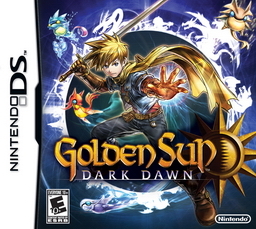 The first game I played on the DS when I got it… It just stuck with me the most. If you don’t know exactly what I’m talking about, read my article about gaming nostalgia: my history of the DS and 3DS handhelds. Oh, for this entry I also count the fun spin-off: Tingle – Rosy Rupeeland. That game is quite interesting. It’s like trying to play as Tingle. But back to the subject, I was already a big Zelda fan before I bought the DS. My love only grew thanks to these games. 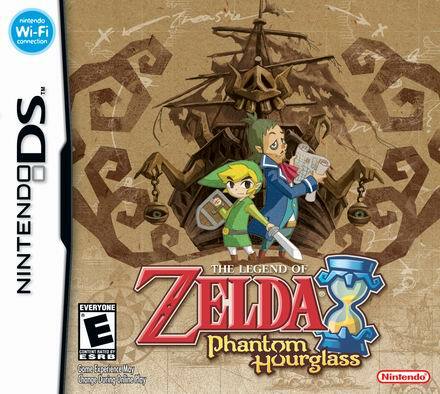 It’s a shame that I haven’t written an article about Phantom Hourglass, but don’t you worry, it will be written eventually. Be warned, it will be filled with nostalgia. I hope that you guys enjoyed these 3 articles. I think it was an awesome way to close this month’s theme. So, if you aren’t following me on other social media, let me tell you here. I posted a whole list of articles I plan to do. I basically posted the possible scheduling for this year. Anyways, enough about that. I’m not going to write a whole emotional part about how much I love the Nintendo DS. I think that’s clear enough. It’s my favorite handheld. Period. 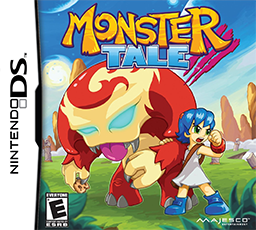 If you are able to look past the shovelware that some studios released, I think you can find a gem of a handheld. But to further prove my point, read Lpgardian’s article why he thinks that the Nintendo DS is the best handheld. So, yeah. Feel free to leave a comment on this article what your best DS games are. And hopefully you guys can forgive me that I didn’t put big named games on this list. So, I hope to see you soon. When my next article releases. Until then, take care! This entry was posted in Personal and tagged 001, 1, 25, 9, 999, ace, all, arpegi, attorney, buttonsmashers, CastleVania, closing, darkness, dawn, doors, ds, Dungeon, Explorers, games, honorable, hours, jea, Jonez, jonez001, jonezjea, konami, layton, Legend, mentions, my, Mystery, neko, NekoJonez, Nintendo, Of, okamiden, people, persons, Pokémon, portrait, professor, ruin, shadow, sky, suikoden, The, tierkreis, time, top, words, xseed, Zelda on September 3, 2014 by NekoJonez. First Impression: Ace Attorney Miles Edgeworth Investigations 2 (DS) * Fan Translation * ~ Finally Finished! Before I begin, I could link you to the translation patch. But that would involve piracy. While this is the ONLY way to play this game in English, I still don’t want to get my blog into trouble by providing you with links to the patch. For that reason, you will have to look up the patch yourself. You can find it quite easily and the instructions are pretty solid so if you never patched a game before with a translation patch, you won’t be lost! Anyways, I have waited for a long time with writing this article. That’s because the translation has only recently been finished. So, let’s take a look at the game. (All the screenshots are of the translation and the first case.) Feel free to leave a comment with your opinion on the game and or my article. The reason why this game didn’t saw an English release is because the first game didn’t bring enough profit. The first game was pirated too much. Now, we can debate this move. But in the long run, the pirates win here. In order to play the game you either have to learn to read Japanese OR play a rom translated to English. Now, the patch that’s floating around on the internet is amazingly crafted. It’s more then just a patch to change the text. They went to the length of changing the art and even the sound into English. Now that’s dedication. I have tested some beta versions of this patch and I have seen the patch progress and evolve. It’s very clear that they handled this with the uttermost care. It’s very clear that they wanted to release a patch without any bugs or mistakes. Seriously guys, my hat goes off to you. My Indy hat! The story of this game is really interesting. We get a better look at who Miles actually is. That’s something I really missed in the first game. In the first game you only saw Miles in all his glory. Now you can see him from different angles. How he reacts to people from his past. Because this is an Ace Attorney game, you can bet your law court that this is an amazing game in terms of story. It’s a visual novel adventure after all. The translation brought this game really to life. That’s what I love about the handheld communities, when they team up to help the devs to get their game out. Now, if this is really helping out the devs in a positive way, that’s a subject for a whole other debate. So, let’s look at the game now. How much fun is this game to play? Was it worth translating? Let’s take a look! I was blown away by the new chess mechanic in this game. At first I was afraid that this would ruin the game. But it turns out very good. I only finished the first case and I’m halfway through the 2nd one. (I assume) and the mechanic really makes you feel like Egdeworth. The mechanic is used when you want information out of somebody. And comparing it with chess is an amazing translation in the game. The clues and arguments you find in what the person says can indeed be used to corner him (or her) and get the information you need out of that person. What I truly like about this mechanic is that it’s timed. This way the questioning doesn’t loose it’s feel of being just that. Don’t worry about running out of time since you get some time back if you break one barrier. The rest of the gameplay is exactly the same as in the original. You can walk around one area to find clues or progress the story. The logic mechanic makes a great return as well. The game isn’t a boring game to play. I dare to call this game an example to other visual novels. The game has an amazing balance between gameplay and story. One issue is still present. It’s a problem I have with the whole series. At some moments, you can possibly show more then one piece of evidence. But the game is programmed that only one piece of evidence is the correct piece. While this doesn’t happen very often, I don’t think this is a major issue. 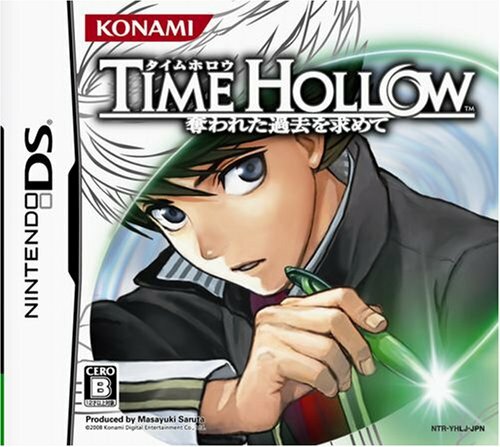 As a big Nintendo DS fan, I dare to say that this game is one of the best visual novel games that the system has to offer. But it’s not perfect. I have said earlier that this game sets a great example for other visual novel games. But the game has some minor issues with the controls. The start button won’t always give you the ability to save. Now, that’s an irritant issue. It might possibly get fixed by the translation team but I doubt it myself. 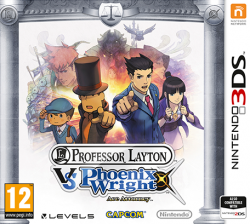 After I have played two Ace Attorney games on the 3DS, I agree with the claims that the 2D games like a bit plain. But, it would be cheap to call this game ugly based on that. Actually this game isn’t ugly at all. Graphically, this game is pretty well done. I have to admit that some of my favorite character designs of the series are in this very title. In addition with that, the animation is truly top notch! As we are used from Capcom. And of course, I have to talk about the music. The music of this series is one of my favorite game music of all time. And in this game we find old and new tracks. They are a real joy to listen to and give that extra to the game which makes it even more fun. Anyways, I think I’ll leave it here for this first impression. I hope you enjoyed reading this article as I enjoyed writing it. I will write a review of this game as soon as I beat beat, you guys may be sure of that. But for now, I hope to see you guys in another article! 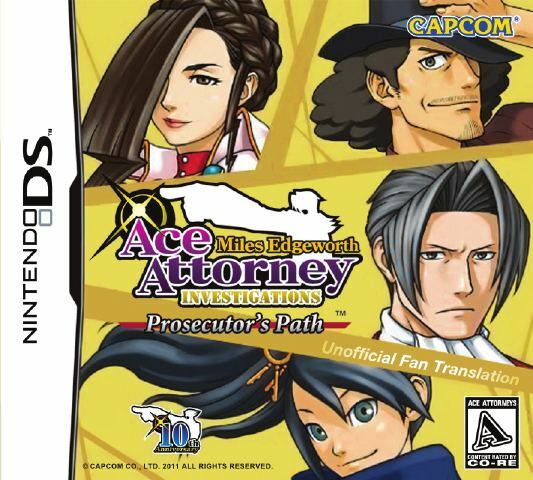 This entry was posted in First Impression and tagged 001, 2, ace, adventure, attorney, blogger, by, capcom, courttemp, edgeworth, first, full, good, impression, information, investigations, is, it, jea, Jonez, jonez001, jonezjea, miles, more, NekoJonez, novel, official, opinion, own, review, reviewer, team, translated, translation, virusfree, visual on July 31, 2014 by NekoJonez. Oh yes, it’s time to write a new article for this series again. In this article, I didn’t look for artwork that has to do with game music but I used the first screen from Electronic Super Joy. A game that’s good because of the music. Anyways, I’m a huge fan of game music. I admit that I listen to it nearly all the time. Even when going to work. It’s just addicting to listen to the amazing tunes they create for games. The atmosphere is just so… amazing thanks to the music. Now, I do have some rules. I can’t pick two tracks of one game in each article. Also, I avoid picking two tracks from the same series in one article. I hope I never slip up and pick one track twice. If that happens, feel free to leave a comment. Oh, and do feel free to comment on my music picks for this article. Anyways, here we go! Such a shame that I haven’t finished this game. Yet, the music is amazing. I really enjoy the melody of this tune. Yet, I have written a first impression of this game. 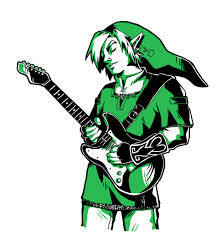 You truly recognize the melody of the overworld from Hyrule. This theme gives a more acapella-remix, one where the major leading instruments are taken out. To be honest, this was my ringtone while I was playing the game. It happens frequently that a track from a game I really like becomes my ringtone. Something I dislike about this track is how it doesn’t fit the mood of Lowrule as I image it. I honestly think it should be a lot darker. Then again, this track might be in such a light mood since our hero is bringing light and peace to this realm. Yeah, this must be it. Remember my extremely long review of this game? Or my first impression. The game is amazing in my eyes. It really deserved all the hype and it totally met all my expectations. As usual, I ignored the posts with new screenshots to avoid spoilers. This way I can totally hype up myself. I’m still enjoying the additional content for this game. Maybe one day, I might write a game quicky about it. Who knows. I’m changing the formula of game quickies anyways. But I really enjoy this theme, it’s one of the best in the series. 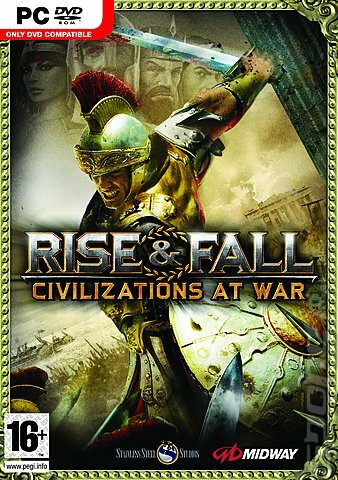 I’m hoping they are making a sequel for this game in the future since it deserves one. This is one of those kind of games where you’re sad it’s over. And be sure that I put the music of this game on replay. Just like this track. No question about it. When this track played when I found the legendary Pokémon for the first time in Ruby, I was hyped. While I think that the second generation is the best Pokémon generation, the 3rd game is the actual game I really got into the series. This track still stays with me until this day. I fondly remember decoding the braille marking on the stones on get the Reggies. I love listing to this track when I’m riding my bike home through the rain. I get the same vibe then from fighting a legendary Pokémon. What kind of memories do you have with this track? Please let me know in the comments. Since I’m really curious. I haven’t played a lot of this game. Yet, this track got posted on my forum by one of my friends who finished the game. He says that they keep this track until the end of the game. And dayum, is this a track to close off the game. 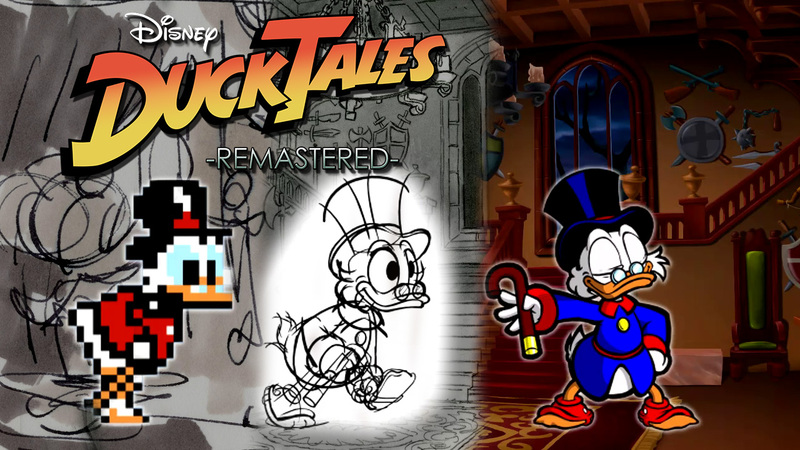 I really liked the music in the original but the remix for the remastered version is really amazing. Thumbs up for the creator of this track, or the remixer. It’s really well done. It’s almost perfect. I feel a new ringtone coming up. Yeah, I think I might take this one as a ringtone for a while. Man, I’m so bummed out that I saved over my save file. I need to restart this game. Now, this game isn’t too hard so it’s no real pain. The biggest issue is that I have to restart. And this game is pretty long. Strangely, I haven’t written any article about this game. Well, I have mentioned it in an article of games I want to finish. But that has been an article of last year. Now, I added this game to the list to write a first impression about in the future. Maybe you will see this game appearing on my blog in August. This game has beautiful music. That’s why I’m mentioning a track in the article of course. The music is very amazing. You really can image giving somebody a ride (to safety). Through a beautiful painted landscape, this moment is really memorable. The rest of the soundtrack is pretty amazing, but none is so memorable to me as this one. Yeah, when you play it and get to this moment… You will understand what I mean. There we go, another music article. I hope you enjoyed this one. For my next article in this series I have an amazing idea. I’m listing the remixes and game-related music tracks I love to listen to. I have a few great tracks in mind. And it might not be the only one of it’s kind. So yeah, keep an eye on my social media for more updates on the releases. Anyways, I think I’m going to end this article here. Thanks for reading and until the next time! This entry was posted in Gaming Music and tagged 001, a, ace, Amazing, attorney, Between, capcom, DuckTales, Emerald, game, giving, jea, Jonez, jonez001, jonezjea, kushinada, layton, Legend, legendary, link, listen, listing, lowrule, moon, music, must, neko, NekoJonez, Nintendo, Objection, Of, okami, Phoenix, Pokémon, professor, remastered, remix, ride, ruby, Sapphire, The, theme, tracks, vs, wii, Worlds, Wright, Zelda on June 25, 2014 by NekoJonez. Game Music Favorites #2: Bigger Sequel. 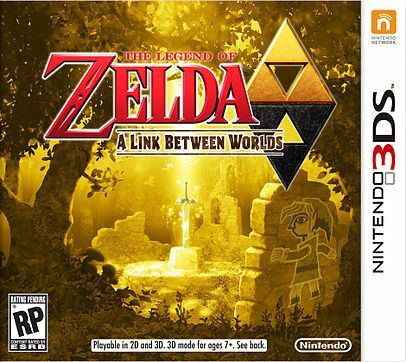 As I’m The Legend Of Zelda, Link Between Worlds and the Special Case of Ace Attorney – Dual Destenies along with Age Of Empires II HD on Steam and Corpse Party – Book Of Shadows on PSP, I don’t have a lot of games to review or make a first impression about. Surely I can write two about Age Of Empires and Zelda, but I need to play a bit more of them first. But before that, I liked my previous article enough to already make a new, possibly more lengthy, article. Let’s dive into a load of amazing music that I found during my adventures in game. Feel free to leave yours in the comment section down below. Or your opinions on my selections. I love hearing feedback. Anyways, orchestra is ready to go, so yeah. 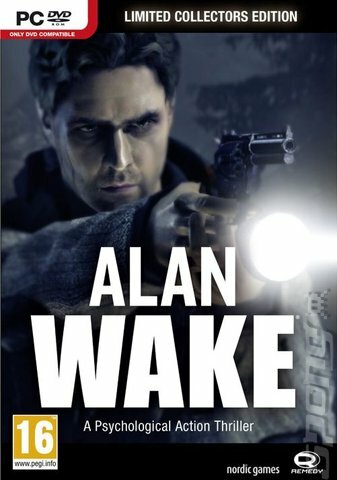 Alan Wake is an amazing game. And various others told me that the soundtrack is amazing. And I totally agree. The music makes the game more tense. At the end of each chapter, they have placed an amazing song. This is one of my favorite tracks in game. The atmosphere is tense and I enjoyed it an awful lot. The other songs aren’t really my cup of tea. Honestly I don’t like game music where there is lyrics. Expect when it’s on important moments. But the DLC has the best music! The fighting scenes are tense. And the music makes you sit at the edge of your seat. Totally wonderful. I wish I could find time to finish the DLC’s. I started to write this article ten days ago and I finally finished this part of it. Yup, like I said in my previous article, I’m that busy. Anyways, on the the next track! I have talked a lot about Corpse Party. I love the game to death. It’s near perfection in my eyes in the visual novel horror genre. I applaud the creators of the game like a mad man. I’ll probably choose a lot of tracks in this series with my favorite game music in it, so stay tuned. I talked about the music in my review. And since I haven’t finished Corpse Party – Book Of Shadows, I think it would be silly to put a track on here of that game. But the last chapter’s music is just amazing. I even had it as my ringtone for quite some time. It’s upbeat and it makes you want to finish the story. It motivates you to fight on and solve the final riddles that the game presents to you. While it’s upbeat and very melodic, the creepyness of the game doesn’t go lost. The track makes you feel tense while ready to dive head on in the action. This track is proof how music in a horror game doesn’t always need to be scary. Let’s fight aside famous hero’s of Rome, Greece or Egyptian wars. Much to my disliking, the in game music is extremely short. With each track being just a minute long, the music just loops too much. Yet, it isn’t bad music. It’s tough to find it online though. Maybe Midway hunts down uploaders and stops them from uploading the music. Yet, the main theme is uploaded several times. Truth to be told, I haven’t come near completing this game. I just like the mechanic of having a RTS game and where you can see the battles in 3D. And control the movement of your hero. But I was a bit too young when trying to take on the campaign. This music is so lovely, the creators even made it that you can’t tell when you loop it where it ends and where it starts. I wish this style of music was in every adventure game. This track, I see it used in more then only this style of game. Pumpkin Pon, is such a bright and relaxing place in Lux-Pain. In this visual novel, some darkness has taken over a town. You can see the darkness and how it eats away at people. While trying to hide your special powers, you go undercover. This game is long, dark, gloomy and sometimes hard. But when this track starts playing, it always puts a smile to my face. Upbeat and melodic. Fun and inviting. Just like the bar it’s named after. The game is underrated, but it isn’t for everybody. When I ever have time to replay it, I’ll surely review it. Oh. My. Lords. This theme song. It’s the definition of amazing openings. If you can, go find a version of the intro and watch it. And then tell me, you aren’t curious to play this game. While the Japanese version is totally different, I prefer the English version of this one. I sing along with it every time I hear it. And yes, it even puts a tear to my eye thinking how well written this game is and what impact it has on me. This game is way to short and I wish Konami made a sequel on this one. Where the game is longer. Since there are so many unexplained things left. And Konami, if you are reading, please make the sequel just a bit longer? Okay? Please? #6: Monster Tale – Pressure’s On. There is a lot of good music in this MetroidVania game. But this is one of my favorite tracks in-game. The music that plays with this boss battle is just so tense, that I was easily distracted by the music. And when I finally could concentrate on the battle, the music helped me through the battle. I admit that I download music of games for tracks like this. Electronic rock. Sadly enough that this video cuts of the music midway. That, or YouTube must be glitching on me. Oh well. This game is one I want to review. Yet, I has been some time since I played this game so I can’t give it a fair judgement. So, keep your eye out on a review of this pearl. 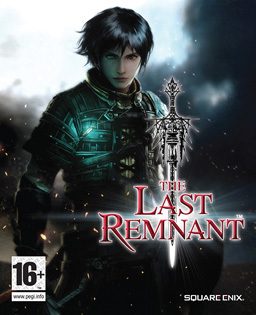 Only recently I started playing The Last Remnant. I bought Broken Sword 5 – The Serpents Curse and I saw that this game was on sale. To make a nice round amount to pay at the check out, I bought it. I thought I earned some great games after doing some hard work in college. And I heard some amazing music in this game. It blew me off my socks and I will surely play this game a lot more. It’s interesting and it got a story I can relate to. Well, relate as in, I saw it in different games as well and I wanted more of that style of story! This music truly sets the right tone on the battlefield and I’m curious when it will be used again in the game. I have only played it for like a hour and I am attached to it. So, probably for Christmas I’m going to ask Santa to give me a bit more hours in a day since I want to play so many games besides studying and this is surely one of them. I advice to get this game. It’s a cheap one and it’s made by Square Enix. Yeah, good stuff! Objection! This music is totally awesome. It’s the best pursuit music I have heard in years. In all the series, this music is my favorite track in the game. It’s the moment you finally crack the case and place the suspect under high stress. 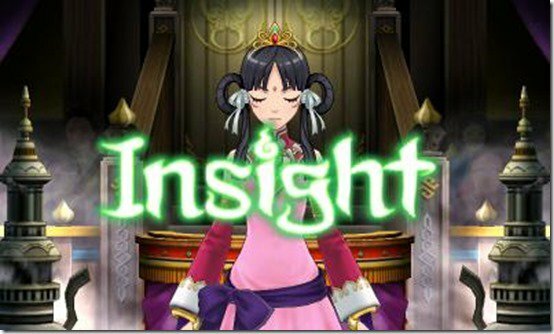 Ace Attorney looses a lot of it’s charm if you play it without the music. I mean, a big orchestra even played the music of this game. Think about it, people who care so much about a simple text based game on the Nintendo DS. It even started on the Gameboy Advance in Japan! All the songs, and all the remixes of this series are worth listing to. Yet, this is my number one track in the whole series. Thanks for uploading the extended version! So, I think I’ll leave this article here. I’m finishing up DLC of Ace Attorney 5 and Alan Wake. While I’m beating also games I have nearly completed. So, expect new articles in the future. While I try to fight through college as well. This entry was posted in Articles, Gaming Music and tagged 001, 10, ace, Alan Wake, Amazing, arpegi, attorney, best, buttonsmashers, Corpse Party, Downloadable content, ds, electronic, game, games, great, jea, Jonez, jonez001, jonezjea, konami, last, Legend of Zelda, Lux-Pain, Majesco, melodic, Monster, music, neko, NekoJonez, Nintendo, on, OST, PlayStation Portable, press, press on, pressure's, Pursuit, Remedy, Remnant, rock, Rome, scary, Tale, The, To, top, tracks, upbeat, victory, Zelda on December 4, 2013 by NekoJonez.